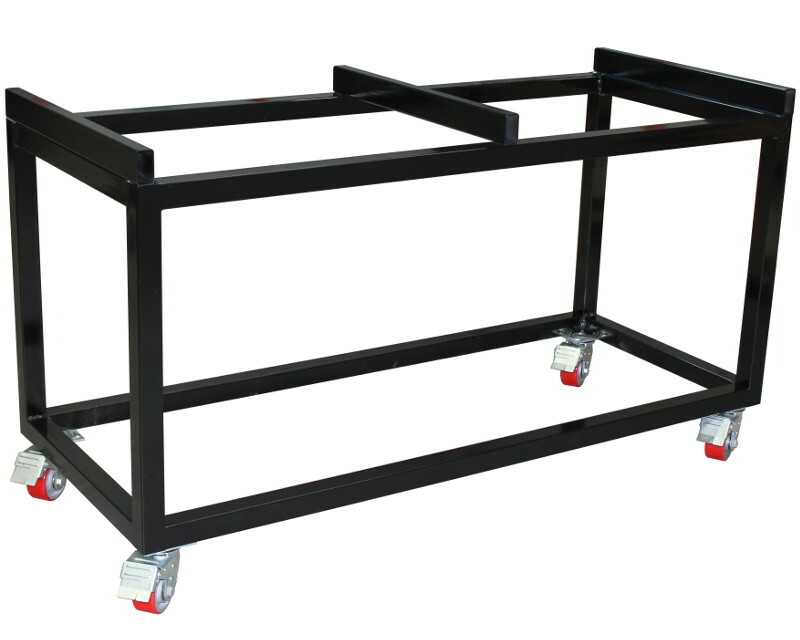 This is a heavy duty steel framed trolley 2300 by 1100 and 800mm high. The frame is 50mm x 50mm with a 3mm wall thickness and fully welded. The frame is painted in black enamel. Comes with four heavy duty 100mm diameter lockable castors rated at 250kg each. It has a 500kg safe working load. Galvanisation of the frame is an option. These can be built to any specifications you require, please email for a quote. Please note this product is only available online for delivery in Melbourne and surrounds. For delivery anywhere else please contact us. 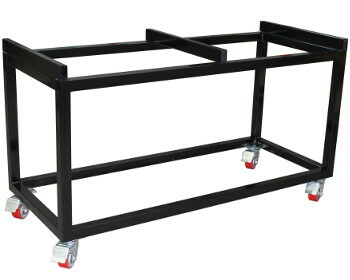 For mobile work benches click here.